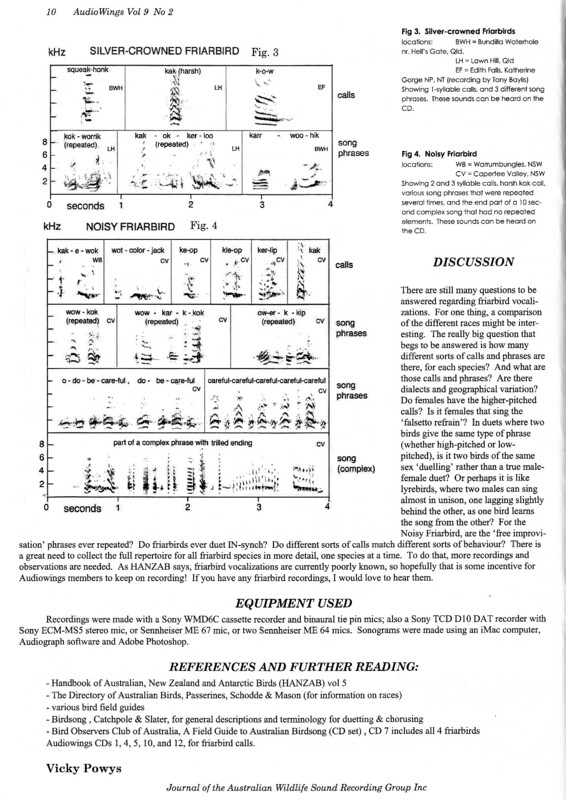 This 5-page article was published in Audiowings, the journal of the Australian Wildlife Sound Recording Group, Volume 9 no. 2, December 2006. 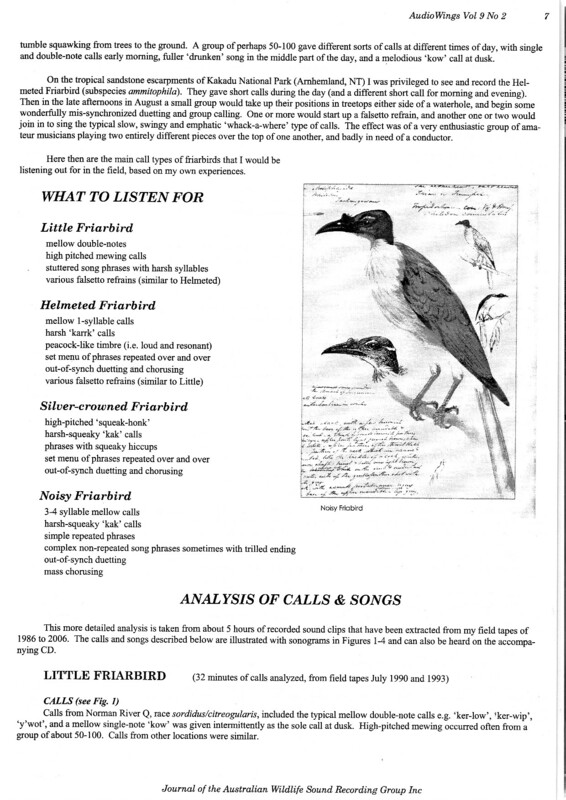 The four species of Friarbirds in Australia have a large and varied vocabulary and it is not always easy to pick one species from another simply by their calls. 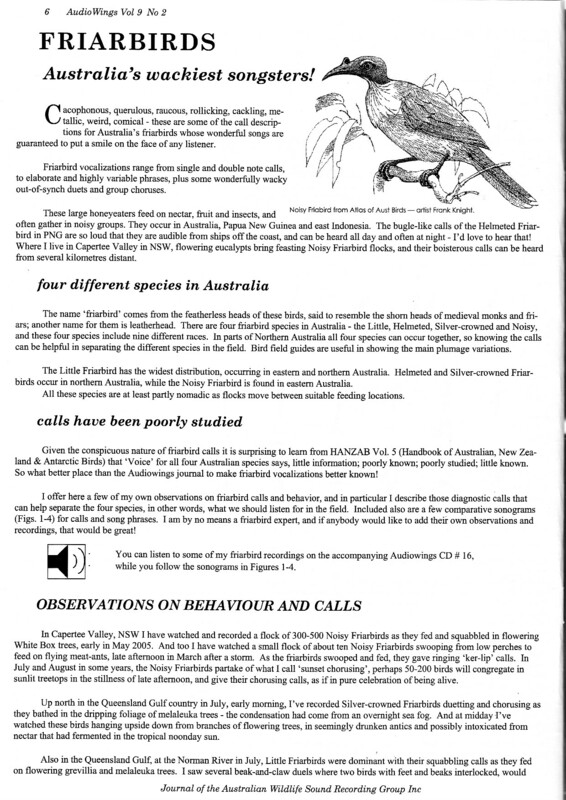 I’ve included audio samples of the calls and songs of all four species. 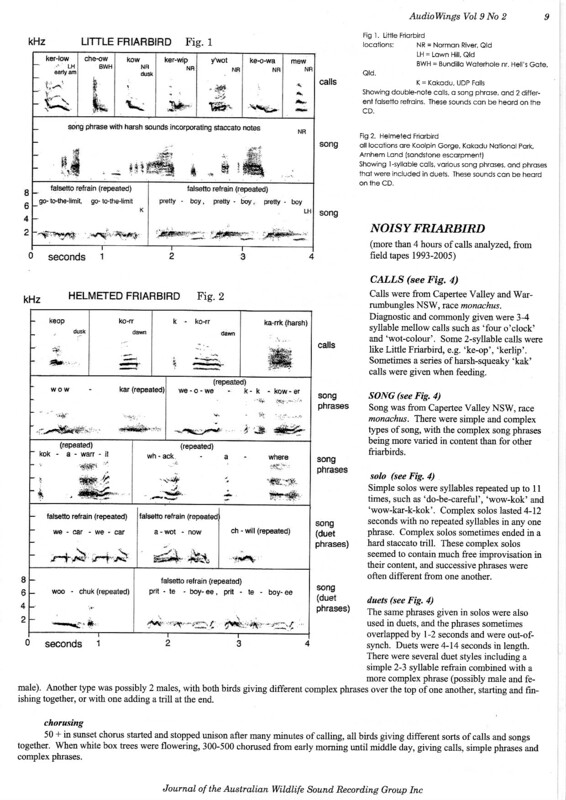 The tracks follow the order of the sonograms further down the page. 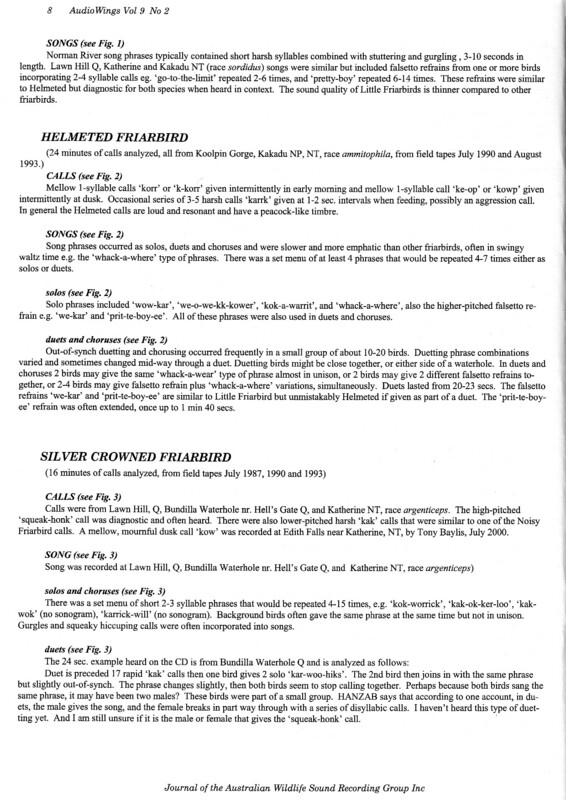 You can also download the article in pdf format here (2.9 mb).